Congratulations, nice this image is honoured by IO. 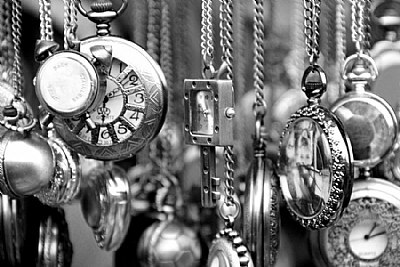 A lovely image of lovely time pieces. Well spotted and very fine end results in B&W. Very nice shot. I assume that these oare the good old and forgotten watches. Well done. excellent shot my dear friend.